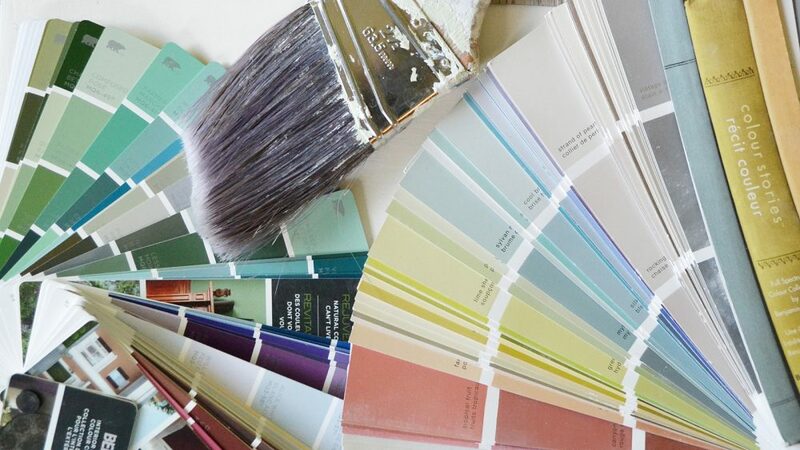 Do you have a hard time picking out paint colours? I’m often asked how I chose the paint colours in my home. 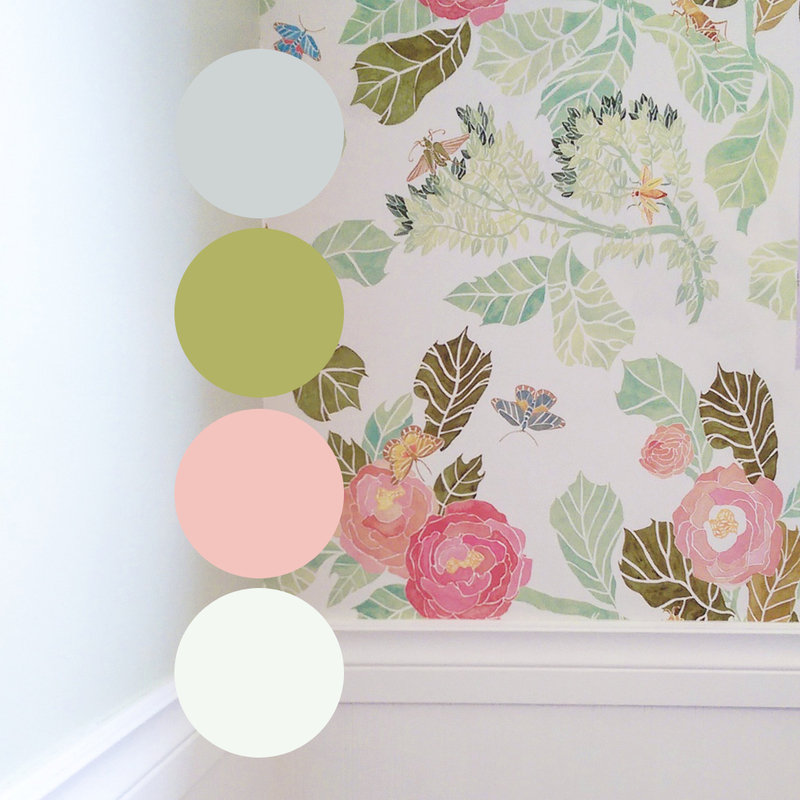 Picking a paint colour can be tricky, but here’s my favourite step-by-step method that ensures your paint colour works well in your own space. Start saving your favourite rooms as inspiration on either Pinterest or Houzz. Once you’ve saved at least 10, have a look at all of the rooms and see if there’s a common wall colour. I bet you there will be! You’ll probably subconsciously love a certain colour of wall whether it be a white, another neutral, or something colourful and bold. Head to the paint store and grab some paint chips that you think look like the wall colours you’ve Pinned. Take them home and see how they look in the day and night in your space. 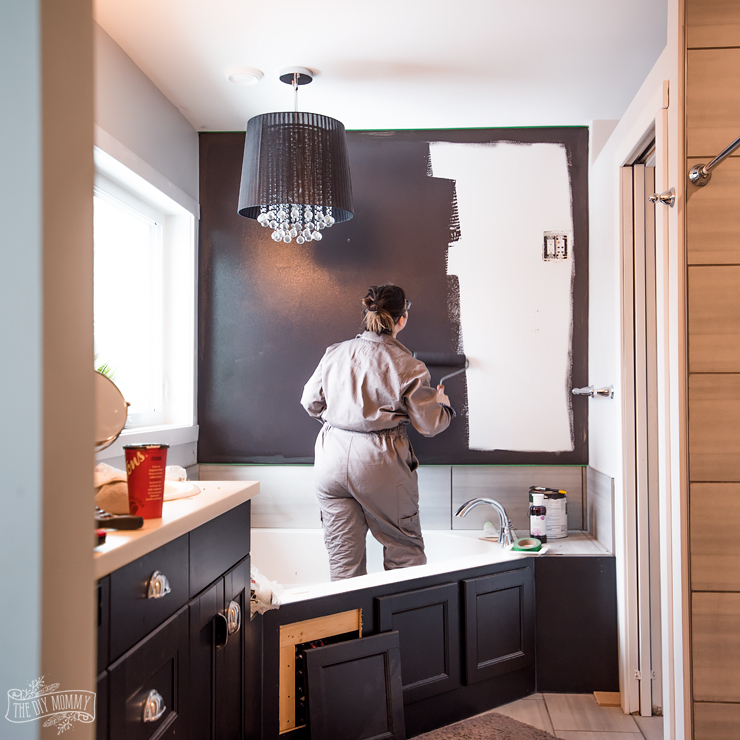 Paint chips will look different at your home than the store. Narrow down your potential paint colours to 2 or 3. I think it’s really important to paint a few large swatches of paint on your wall before choosing your final paint colour. It’s hard to tell how the colour will look on your wall from a tiny paint chip, and the colour might look completely different depending on your lighting situation and the time of day. Painting a large swatch on your wall and watching it for a few days will help you choose a colour that’s right for your space. Now it’s time to choose your favourite colour and get to work! You can find some of my favourite painting tips right here. Now tell me: how do YOU choose paint colours? These are excellent pointers! I really agree with you about getting a few swatches before actually applying a new color to your walls. It can definitely give you an idea of what you can expect the room to look like. Thanks for the helpful tips! What grey are you Loki g for the name of, exterior, a particular room? Loved your video. Very informative. I’m looking through my pins now to decide on my kitchen wall color. I would love to know the paint colors you’ve chosen for your home. Thanks for your tips. I am about to revamp my room so it’s a very helpful article.